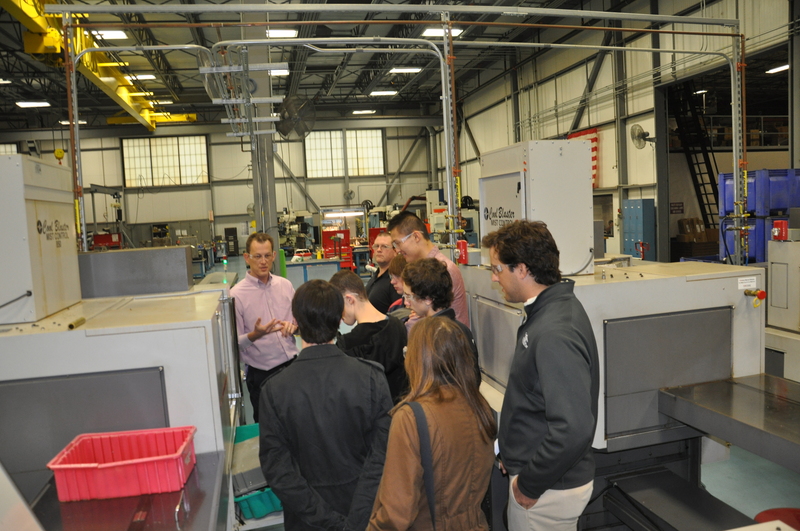 From Oct. 24-28, 2016, Mack hosted its biennial Made in Vermont Days at its Arlington, Vt., Headquarters – bringing local high school juniors and seniors into the Company’s manufacturing space to learn about manufacturing and engineering careers through tours, workshops and presentations. The program is designed to reach students looking to go to a four year school, as well as certification and technical programs, and those who may wish to enter the workforce directly. This year Mack welcomed four schools – Arlington Memorial High School, Southwest Vermont Career Development Center, Long Trail and Burr & Burton Academy, as well as local home school students. In all, nearly 50 students, educators and parents participated. Students toured the Company’s HQ through the lens of one particular product manufactured there that incorporates virtually Mack’s entire vertical integration of services. Following the tour students participated in a competitive workshop introducing the theory behind manufacturing flow before learning about careers available to them with the Company’s Director of Human Resources, hearing business insights from the HQ Plant Manager and an open Q&A with these key staff members. 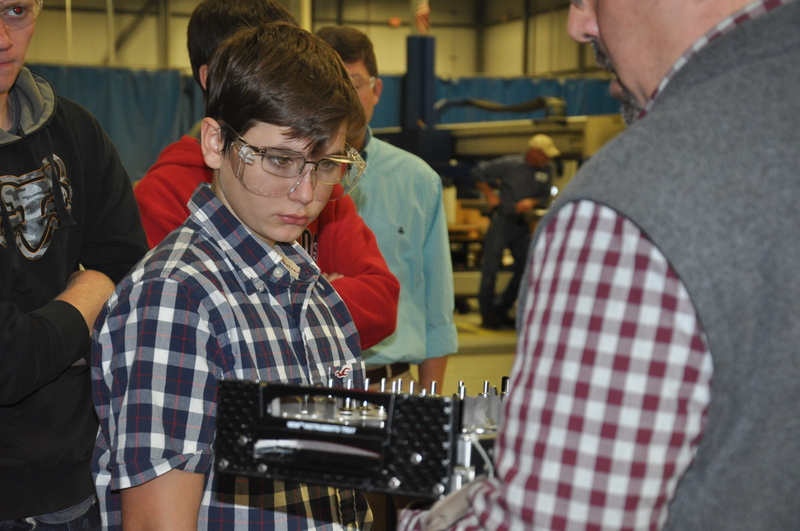 Students also were given the opportunity to sign-up for more in-depth workshops to be held at a later date in the following disciplines: Injection Molding, Machining, Sheet Metal Fabrication, Manufacturing and Engineering. By hosting the event in October, Mack is able to leverage the power and name recognition of Manufacturing Day and Manufacturing Month, creating additional pull through while increasing access to supportive resources. Additionally, Mack benefited from its relationship with the Vermont Manufacturing Extension Center (VMEC), whose team trained some of the Company’s up and coming employees to conduct the manufacturing flow workshop featured during the event, which proved fun and informative for students, putting some context behind what they had seen on the manufacturing floor. Mack’s Made in Vermont Days represent just one facet of the Company’s outreach efforts to cultivate the next generation of talent needed to drive manufacturing in the Northeastern United States. With a goal of building a sustainable workforce by encouraging the next generation of engineers, technicians and professionals, Mack regularly brings in middle and high school students, sends engineers into the classroom and has even had programs for children as young as kindergarten. In addition to Made in Vermont Days, Mack’s high point in this effort is an internship program that has hosted close to 100 interns from schools like UVM, WPI, RPI and RIT. The Company is now starting to recognize the fruits of its labor with a record number of interns – six – joining Mack as full-time employees in 2016. From left, Long Trail seventh graders Savannah Petrossi and Ella Masker, along with Long Trail eighth grader Shaye Squillante, visit an assembly line during a visit to the Company’s headquarters in Arlington, Vt., Wednesday, Jan. 13, 2016. ARLINGTON, Vt. (Jan. 20, 2016) – Mack Molding, a leading custom plastics molder and supplier of contract manufacturing services, recently opened its doors to give students from the Dorset, Vt.-based Long Trail School an inside look at running a business in the Green Mountain State. The students were participating in the Long Trail School’s own Made in Vermont program, in which sixth, seventh and eighth graders visited several regional businesses to gain an appreciation for how the businesses operate. According to Gedney, at the conclusion of the visits students executed on their new knowledge by coming up with prototype products and pitches in the spirit of ABC’s popular Shark Tank TV show. In all, students visited eight businesses for inspiration. In addition to Mack, other participants included Hubbardton Forge in Castleton, Vt.; Authentic Design in Rupert, Vt.; J.K. Adams in Dorset, Vt.; Orvis in Manchester, Vt.; Bennington Potters in Bennington, Vt.; Manchester Wood in Granville, N.Y.; and Battenkill Creamery in Salem, N.Y.
Long Trail School sixth grader Bryce Coe takes a bird’s-eye view of Mack Molding’s Finishing Department as students begin a tour of the Company’s headquarters in Arlington, Vt., Wednesday, Jan. 13, 2016. The Long Trail visit is just part of Mack’s longstanding commitment to encouraging Vermont’s best and brightest to use their talents to benefit the communities they call home, as well as the businesses that share them. The hallmark of Mack’s efforts is an internship program designed to have students work on meaningful projects that help move the business forward while giving them a significant achievement for their portfolios and resumes. Long Trail School is a coeducational, college preparatory day school located in Dorset, Vt. Founded in 1975, it serves 182 students in grades six through 12 from nearby towns in southwestern Vermont and New York state, as well as several countries. The school is approved by the Vermont State Board of Education, accredited by the New England Association of Schools and Colleges, and is authorized as an IB World School (#6248) by the International Baccalaureate Organization. For more information, visit www.longtrailschool.org. Pictured, from left, are Long Trail School Director of College Consulting & Athletics Scott Magrath with students Bryce Coe, sixth grade; Savannah Petrossi, seventh grade; Ella Masker, seventh grade; Sophia Berumen, sixth grade; Shaye Squillante, eighth grade and Shayla Sisters, eighth grade; along with Mack Molding HQ Plant Manager Rich Hornby and Director of Human Resources Nancy Cefalo. Students toured the Company’s headquarters in Arlington, Vt., Wednesday, Jan. 13, 2016, to learn how business operate in the region as part of the school’s Made in Vermont program.